Whether you are traveling alone, male or female, or with a friend, partner, brother or sister, Amansala is the perfect place for an escape to paradise and rejuvenate yourself with our beachfront fitness bootcamps, consisting of 24 beautiful cabanas set in a village-like setting along with a beachfront restaurant and lounging terrace, yoga shalas, and massage rooms. Our properties offer a tranquil setting that embodies community yet space to relax on ones own terrace or on the beautiful sunset lounge where the jungle stretches for as far as the eyes can see. Perfect for star gazing, sun rises, sunsets or soaking up some sun. It’s the perfect place for your next fitness bootcamp, and is sure to leave you feeling revitalized and refreshed! •	+ many other fun activities to send you home looking & feeling better. 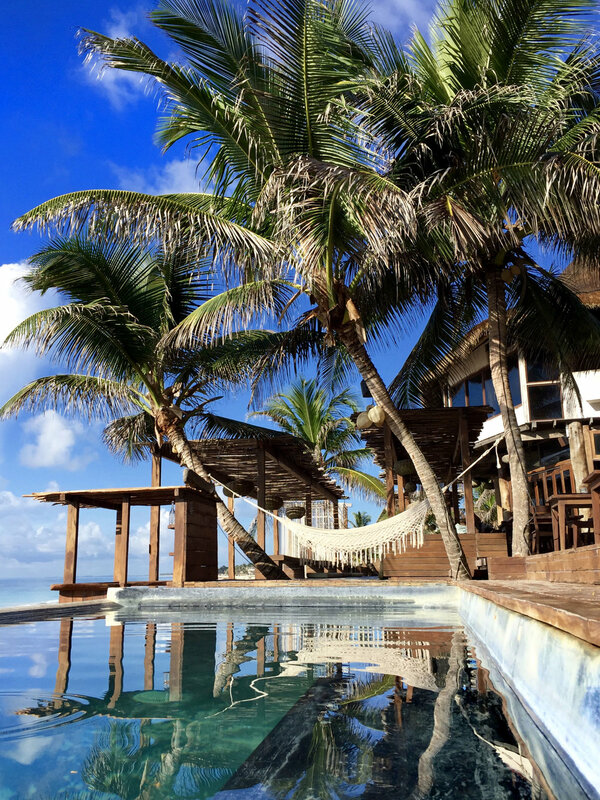 We are located on a pristine beach in Tulum, Mexico -- approximately 2 hours south of Cancun,. This area is famous for the spectacular Mayan ruins, clear turquoise water and white sandy beaches. It is truly a undiscovered eco-friendly paradise. Bikini Bootcamp is so much more than amazing fitness and yoga classes. It is about taking time out from ones busy life to reconnect to yourself and nature through a combination of yoga, fitness, meditation, healthy eating and pampering. It is about being able to hit the pause button and reflect on life and give back to yourself not just about focusing on the physical body. An escape to Amansala is more like a visit to a friends beautiful beach house. You will be accompanied not only by a team of wellness experts that share their passion for fitness, health and wellness but by other like minded people who also are also seeking a holiday with a similar purpose. It is totally comfortable to come on your own should you be unable to coordinate schedules with friends, and you can be as social as you like or there is plenty of space to find a hammock or lounge to relax on your own. 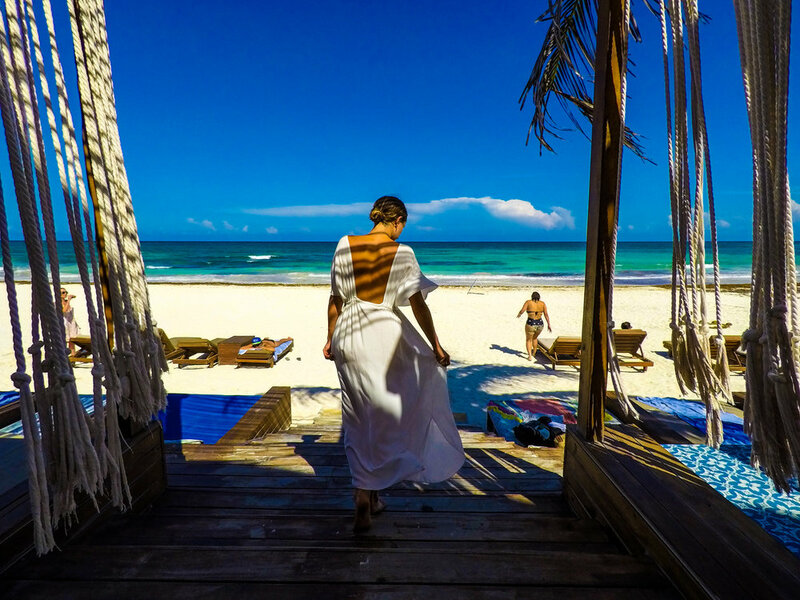 You will see not only the beach but get a real feel for this beautiful part of the world with an excursion to the Mayan ruins, snorkeling in an amazing Cenote and by discovering some hidden parts of paradise. The adventures are led by friendly knowledgable guides. We believe in balance and break up the 4 to 5 hours of exercise and fitness a day with time to swim, read, lounge in a hammock. Our approach to food is not about deprivation but about eating as close to nature as we can with fresh fish, organic greens, and think papaya, avocado, pumpkin seeds, among many other local flavors. Our goal is to send you home looking and feeling better than when you arrived. Days are a combination of beach workout, moving ones body, yoga, healthy eating, relaxing and exploring. Each day begins with journal writing followed by a stretch on the beach, beach walk and beach workout, a one hour power walk, and then varies from there to include a high energy cardio workout, some sort of sculpt, yoga, as well as other activities that may include an inspiring salsa, African or belly dance class, an insightful meditation session or an informative presentation on the local culture, area or nutrition. The Mayan Ruins of Tulum - Beautiful flat ride along the beach to the ruins followed by a guided tour. Fresh Water Swimming Pool - Tulum’s Grand Cenote is a large beautiful garden cenote with gentle white sand beach type areas along with easily accessible caves for snorkeling and diving. Climb a Pyramid in Coba - Enjoy a beautiful jungle walk before reaching the incredible ruins of Coba. Our menu consist of all local chemical free food. Fresh caught grilled fish, organic chicken, fresh fruit such as mango, papaya, and pineapple. 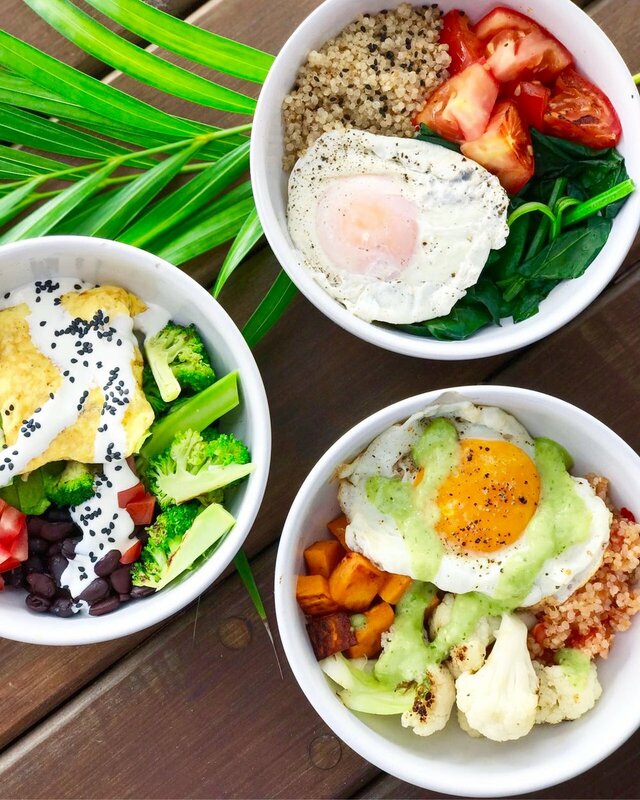 A variety of delicious signature salads that incorporate jicima, coconut oil, avocado, pumpkin seeds, and chia that will leave you satisfied, yet lighter and cleaner. Accommodations range from beachfront suites to cozy rooms to meet all budgets and sizes. The architecture embodies the signature eco-chic style of Amansala that includes driftwood, mosaics, river rocks, smooth cement and thatched roofs with staircases that weave together the various spaces within the resort. All rooms are equipped with private bath, sitting areas, closet area, comfortable beds and are beautifully styled with our Eco-Chic signature ‘bohemian chic’ feel. Relaxed luxury is what we’re all about. See what others have said about Bikini Bootcamp! If you have any question, be sure to check out our packing list as well as our FAQ and Blog for travel tips! Thank you for signing up for Bikini Bootcamp's mailing list!